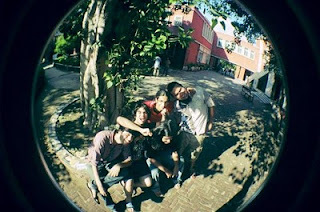 Jester, a five piece funk-rock ensemble that hails from Delhi University’s ever so rapidly growing KMC Music society. Formed in 2008, this group of college-goers made rapid strides in the Indian live circuit with their awesome performances and bizarre brand of originals. They were declared Winners in both Zonals and regionals in Campus Rock Idols this year and managed to garner quite a reputation for alt-funk melodies.